In the long, dark days of February, it’s worth remembering that we can create our own light. The greyness in Copenhagen is sometimes oppressive (the clouds hang so low! 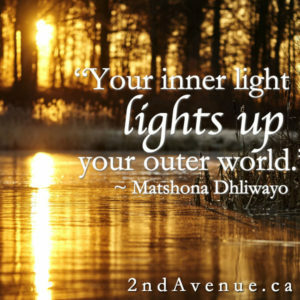 ), but we can tap into our inner light and allow it to illuminate our outer worlds. Thankfully, the days are starting to get longer and the promise of Spring is creeping closer! And, even more thankfully, I have the joys of chatting with family, teaching yoga, spending time with friends, walking the dog, enjoying food and drink, practicing yoga and loving my husband to fuel my internal light until the Earth’s rotation around the Sun brings on more daylight!